Noisy, subversively catchy and rhythmically sophisticated Chicago quartet Melkbelly emerged from Chicago’s DIY spaces with its experimental instincts intact in songs. Melkbelly’s members live and breathe Chicago’s art and music underground where their paths crossed and alliances were forged. Vocalist/guitarist Miranda Winters played solo in folk rock project reddelicious. Brothers Bart and Liam Winters (the tall fellas playing guitar and bass in Melkbelly) ran an influential show space in Chicago. Drawn together by their passion for East Coast noise, particularly the flavor originating from Miranda’s previous homebase of Providence, RI, Miranda and Bart of Coffin Ships recruited James Wetzel, who studied jazz drums in college, from improvisational free-drum/noise duo Ree-Yees. This new group of friends orbiting the loft and art scene, began collaborating on each other’s projects, formalizing in a more guitar-driven quartet Melkbelly in 2014. Melkbelly ramped up its Chicago activity and an East Coast foray that included opening slots for Xylouris White, Black Pus, and a gig at the soon to be closed Death By Audio that left band members buzzing about the possibilities. Melkbelly’s debut EP Pennsylvania came out that same year. Engineered by Cooper Crain of Cave/Bitchin’ Bajas, the record came easily. “It all kind of just fell out. They were the first six songs we ever wrote. It was almost like an exercise and it was recorded in just a day,” says Wetzel. The Chicago Reader enthused for single “Doomspringa” with its “noisy guitar freak-outs” and “beautifully melodic verses” and compared Melkbelly, accurately, to a hybrid of the Breeders and Lightning Bolt. In 2016, the band tested the waters with new material, recording two 7-inch singles with Dave Vettraino at Chicago’s Public House—the band had previously contributed to Public House’s Digital Single Series and a tape compilation–while continuing to tour. 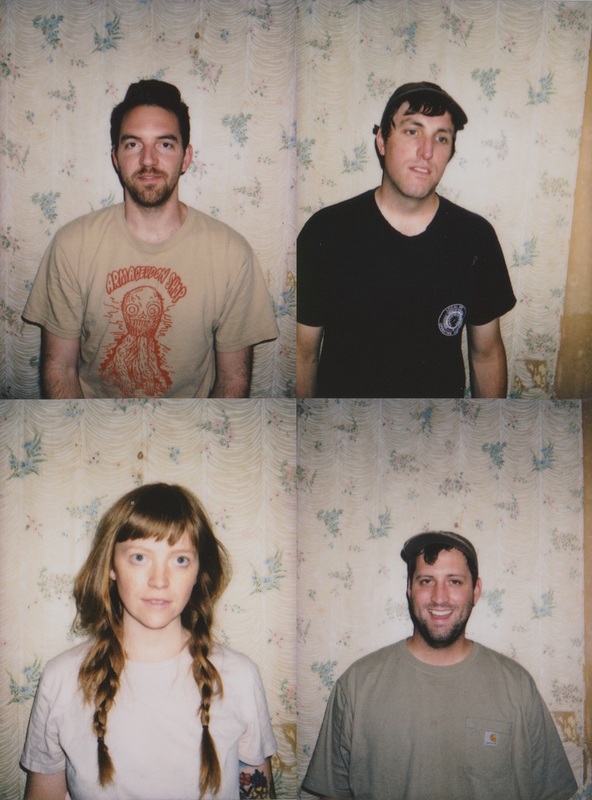 Inspired by the geography of a West Coast tour, shared band experiences, the van “as a magical place” and failed touristic detours at a meteor crater (it was closed) and Spiral Jetty (not van-friendly), the band gathered material written by Miranda and spawned from recorded jams for its next album. In early 2017, Melkbelly recorded Nothing Valley with Vettraino, writing about half the album in the studio and tracking it to 8-track analog tape. Nothing Valley isn’t just Melkbelly’s debut, it is the anticipated inaugural release for Wax Nine Records (a sister label to Carpark Records) headed by Sadie Dupuis of Speedy Ortiz–who’s been a Melkbelly superfan ever since proclaiming their “Bathroom at the Beach” 7″ 2015’s Song of the Summer for The Talkhouse. 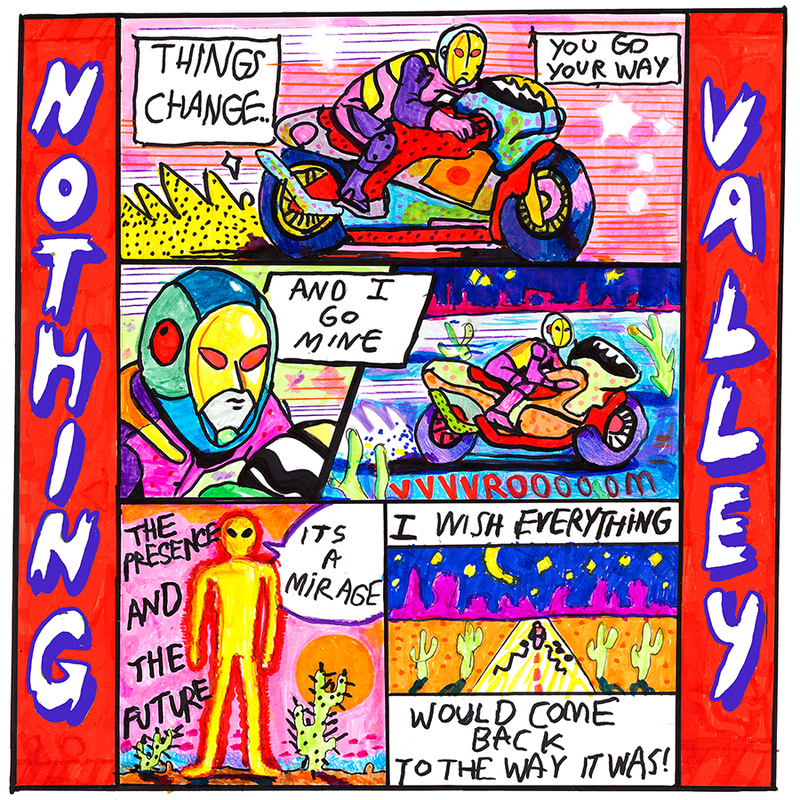 Melkbelly shared the first single from their debut album Nothing Valley. “Kid Kreative” streaming now on Stereogum.